Linode is a cloud hosting provider that offers high performance SSD Linux servers for your infrastructure needs. Hugo offers the documentation team incredible performance as we scale and continue providing quality Linux tutorials. 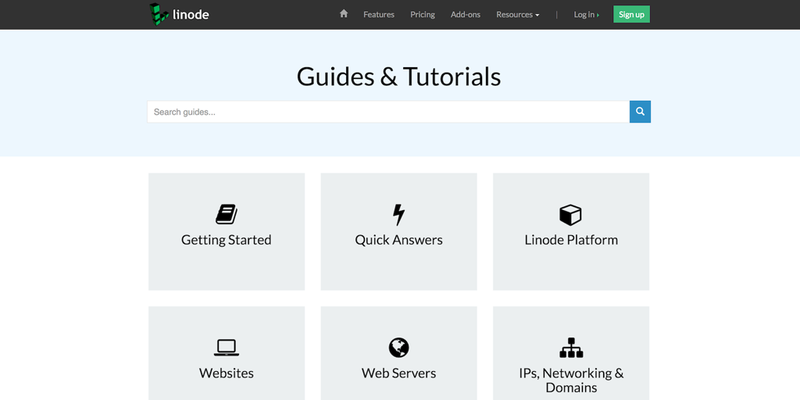 The documentation team at Linode has been writing guides since 2009, with the goal of helping new and experienced Linux users find the best tools and get the most out of their systems. As our library grew into thousands of guides, we needed a fast static site generator with intuitive templating and the flexibility to extend Markdown without constantly writing HTML and CSS. Hugo solved a lot of our growing pains with features like shortcodes, customizable URLs, LiveReload, and more. We have already brought our site build time down from minutes to just a few seconds, and we are excited to see what future developments in Hugo will bring. Thank you to all the Hugo contributors and especially @bep for helping us with the adoption of Hugo. The Showcase articles are copyright the content authors. Any open source license will be attached.